France is a great nation and the French are a brilliant people. 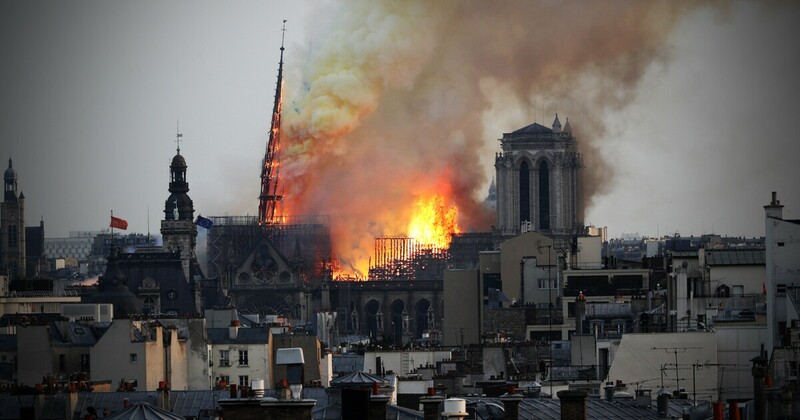 Notre Dame Cathedral speaks to it: Even when burning, it represents France's majestic culture and history. It was mostly completed just two years after the Mongolian Holocaust and 545 years before Napoleon's great victory Austerlitz. When it was rebuilt, Notre Dame will again represent abundant French pride and resilience. America should play a role in that rebuilding. It is likely to be expensive, perhaps to reach hundreds of millions of dollars. France is still our oldest ally. It is the Allies who made George Washington, Benjamin Franklin and John Adams our nation's fathers, rather than traitors who died on the gallows in the hands of British rulers. Now French and Notre Dame deserve our help. It's not just about symbolism. Mutual interest requires that France and America meet the rest of the 21st century together as allies. Helping France return Notre Dame to honor will represent something special but simple: America's clear intention that no difficulty or fire will ever destroy our "fraternity". That symbol would mean something that is crucial to the United States and France: Together our best days continue to lie ahead.